Although it might not be a term that you are familiar with, family offices are incredibly prevalent in today’s society. In layman’s terms, family offices are private firms that manage the assets of an incredibly wealthy family. Because of their rising popularity, and my vast experience with the industry, I thought that I would offer some insight on the matter. Family offices are divided into two different categories: single family offices (SFO) and multi-family offices (MFO). The titles are self-explanatory; SFOs manage the assets of one family while MFOs manage the assets of multiple families. 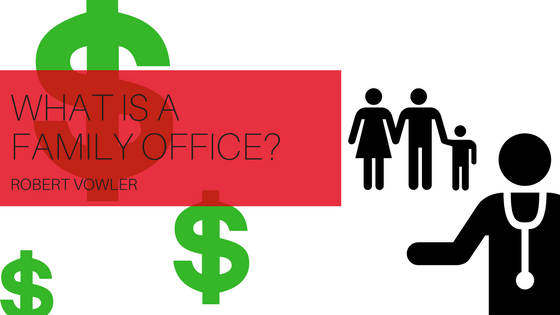 Single family offices tend to be the most popular. Family offices can vary drastically, but for the most part, a family office will handle any and all financial or personal affairs of a wealthy family; this can come in several different forms, ranging anywhere from small investment enterprises to large companies functioning in a manner similar to a corporation. Family offices can be incredibly large and complex institutions that work for the family to provide risk management, lifestyle management, asset management and investment advice in addition to financial management. A perfect example of this is the Hershey Trust Company, which I was fortunate enough to be the CEO of from 1986 to 2008. In fact, the Hershey Trust company was one of the first family offices in the world. It is the majority owner of the Hershey Company and sole owner of Hershey Entertainment and Resorts, whose assets are all overseen by the trust. Family offices even assist in the administration of philanthropic endeavors and personal lifestyle advisory, including travel management and even yacht and private jet management. While family offices are nothing new, there haven’t been too many of them in existence. However, in recent years as the number of ultra-wealthy families increases, the need for family offices has expanded as well; in fact, according to a report from Forbes, there could be as many as over 10,000 family offices. As a family becomes wealthier and the number of its assets grows, it needs assistance in overseeing its varied and branching investments. This is where the family office comes in. With their ability to analyze, assess and oversee families’ wealth, family offices can provide an invaluable service that saves time and headaches and can exponentially increase revenue.